I have been given a Cintiq tablet and this was the first pic I wanted to do with it. It shows all of my main oc's right now. 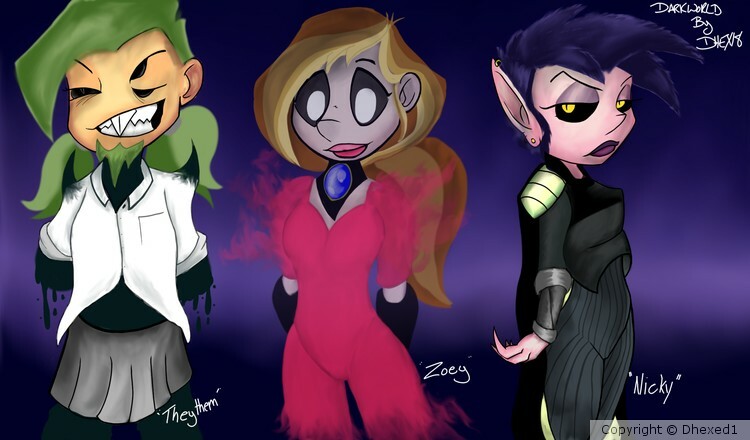 Zoey the ghost girl, Nicky the vampire, and Theythem the shoul of rot.